Receive a FREE Feel The Heat – Muscle Warming Arnica Gel worth €30 with any purchase of Serenergise Muscle Relaxing Body Oil. Benefits of Serenergise Muscle Relaxing Body Oil – Revives, stimulates and soothes the body, while helping to ease muscle aches, pains and stiffness. An added bonus – your skin will be left silky soft and smooth. Benefits of Feel The Heat Muscle Warming Arnica Gel – Warms, refreshes and revives the body while relieving tense muscles and knots caused by sport and physical work. 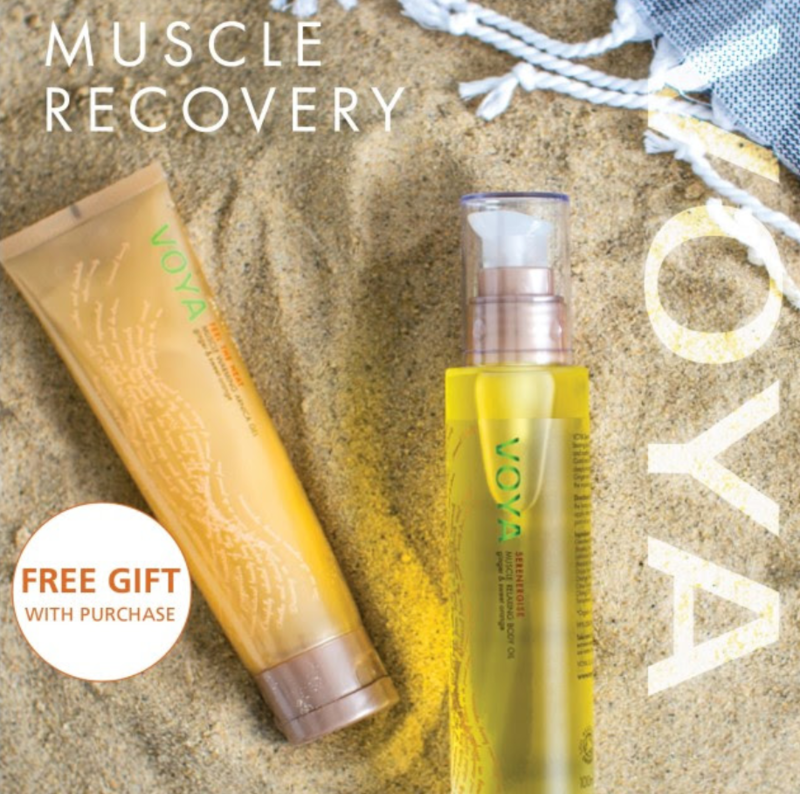 Best of all VOYA are made from all natural and organic ingredients.